Bacteria kill rate Archives - Abrams Landau, Ltd. In his personal and professional life, Doug Landau is a pacesetter. He began practicing law in 1985 and opened his first firm in 1989 in Old Town Alexandria, Va. With excellence and professionalism, he has developed a solid track record in personal injury law. Are Your Medical Records Safe at Your Doctor’s Office? Maybe Not. Is There a Formula for a Car Crash Injury Case? Am I Covered by Workers Compensation If I Have Not “Clocked In” to Work Yet? Metrorail Concrete Panels to Dulles International Airport Improperly Mixed—Who Would Be Held Liable for Any Possible Injuries? Located in Herndon, Va., Abrams Landau Ltd., concentrates on several specific areas of personal injury law, including Social Security Disability, workers compensation, and other on-the-job injuries. 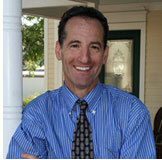 Abrams Landau Ltd., has been representing clients up and down the East Coast since 2000.